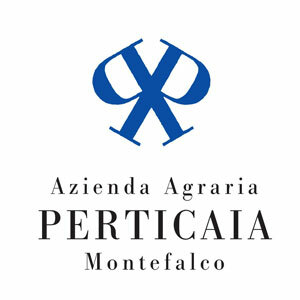 PERTICAIA is the word with which, in Umbria’s archaic language, is called the plow – the instrument that, more than any other, marks the transition from sheep-farming to agriculture. “Penso Positivo (Positive Thinking)”: this could be the synthesis of “Progetto Perticaia”, identifi ed by the double P that symbolizes it. It was a trip in the early 90s that excited and convinced Mr. Guardigli, before anyone else was thinking about it, of the extraordinary potential of that territory and of its princely vine: Sagrantino. “A territory, a grape, a wine”. The company boasts today of nearly 16 hectares of vineyards, of which more than 7 are of the Sagrantino grape variety, 4 of Sangiovese, 2 of Colorino and 2 of Trebbiano Spoletino, with 1 hectare of Grechetto, in addition to more than 250 olive trees: the lands are slightly sloped, and are 320-350 meters above sea level, and are mainly facing south, south-west. The goal is that of making wine with our own grapes, with “local” grape varieties, rather, grape varieties that the environment has chosen and styled in order to transmit the originality, the personality of this place: Umbria.